Perched high up on a rolling hill in the heart of the Buyuruguru Crater Lakes, Ndali Lodge is made up of eight charming stone cottages set amongst lush, colourful gardens. 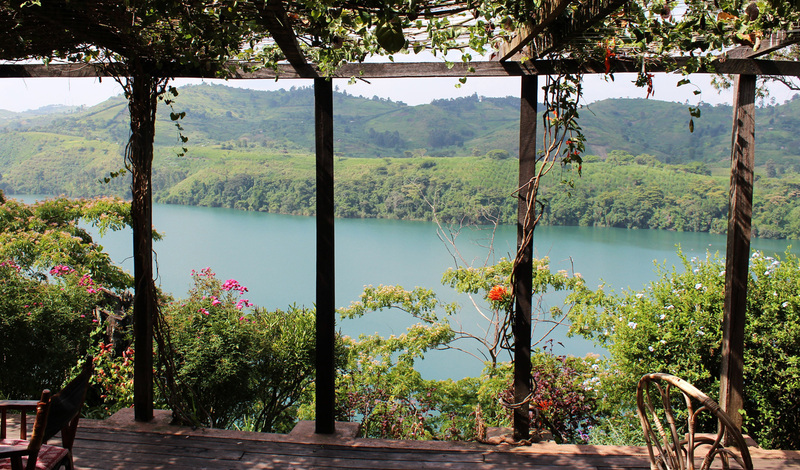 With the majestic Rwenzori Mountains providing the scenery on one side, and the idyllic Lake Nyinambuga sparkling on the other, slip into the infinity pool after a day out trekking and soak in the stunning vistas and scenery on offer. Come evening, cosy up in the homely main lodge with a handcrafted cocktail and the promise of a candlelit dinner for two. Just 45 minutes outside of Kibale National Park, Ndali Lodge sits on the doorstep of Africa’s largest chimpanzee population. Spend the day getting to know the playful primates in the Park or head to the Bigodi Wetland Sanctuary where a host of rare birds flit on by. Or, for a more local take, join an expert guide on a stroll through the 1,000-acre farmlands, passing by the vanilla farms, banana plantations and coffee terraces. Each with its own private corner of the gardens, the eight cottages at Ndali Lodge feel like your own home on the Ugandan hillside. The decor of earthy hues is warm and inviting whilst the spoils of canopied day beds and forest-view bathtubs usher in a relaxed mood. For the perfect start to the day, spend an hour or two out on your private verandah immersed in the delicate scents of the flora and with the majesty of the fauna all around you. Ndali has a real sense of community running through it which you just can’t ignore. What started off as tea planting estate in the 1920s now sees a wealth of local enterprise. 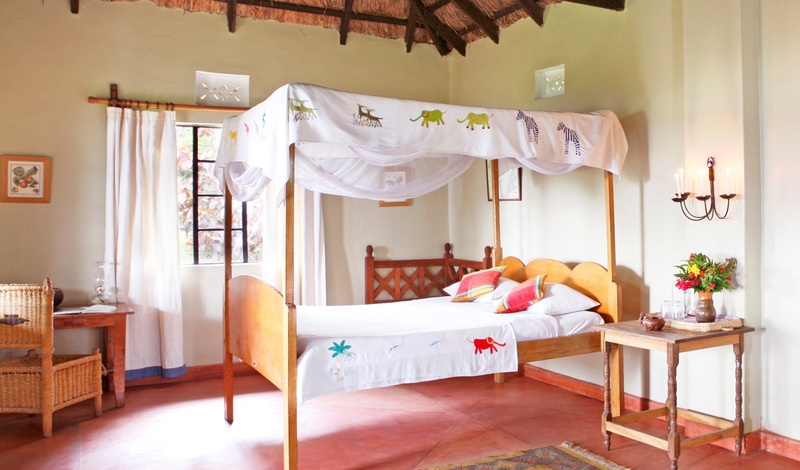 From the Bigodi Wetland Sanctuary community project to local education initiatives, Ndali Lodge is a hotel with heart and we love it all the more for it.